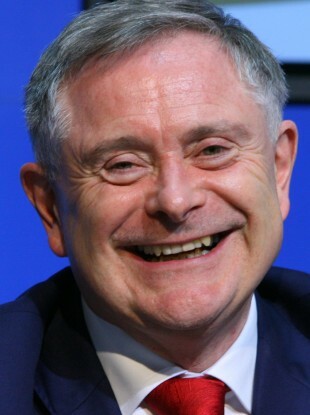 BRENDAN HOWLIN IS the new leader of the Labour Party. There will be no national election for the position as deputy leader Alan Kelly failed to secure the backing of even one other TD, essentially blocking him from contesting. The party’s elected representatives in the Oireachtas said today that there will be no contest as the former minister was the only candidate put forward. Kelly, who spoke candidly on RTÉ’s The Late Late Show last week about his ambition to be the party’s leader, failed to secure the support of any Labour TD to nominate him. According to the party’s rules, the leader must be a TD and secure the a seconder from a fellow deputy. The Tipperary man was not present for today’s announcement. Kelly did later release a statement, saying he wished Brendan Howlin well as leader of the Labour Party and congratulated him on “what is a proud day for him, his family, friends and supporters”. Over the past week I sought to ensure that the leadership of the party would be chosen by the members, by way of a contest and a democratic election. I further thought that a shortened contest would allow for re-engagement with our members and ensure a contest based on vision and ideas for the future direction of the party, where the best candidate would emerge with a clear mandate. The rest of the parliamentary party took a different view to what I believe is the members wish and entitlement. I want to thank the huge volume of members who have confirmed that view to me. Howin said he text Alan Kelly earlier today, however he did not get a response. He said Kelly was a “friend and a colleague” and a man of great passion and ability. He said he hoped he would be part of the Labour party team in the future. When questioned about refusing Kelly access to a leadership contest, he said that no one was refused. We had a lot of introspection in ourselves… do you think anyone bullied Willie Penrose, or Sean Sherlock or Jan O’Sullivan, or anybody here. They are seasoned politicians, committed to this party, as is Alan, and they made their own choice as to who they should nominate as leader. Howlin, who takes the top job with two failed Labour leadership bids under his belt, was backed by five TDs, other than himself. He said there was no nomination for deputy leader. Speaking today, he said he was immensely proud to lead the party. I am confident about this party’s future. Because we have values that are immutable, They’re not going away any time soon.They have endured 100 years and will endure another 100. Labour doesn’t offer theatrics. We offer real change. This is uniquely Labour’s space. Democracy is predicated on a contract with the people. And that contract is based on improving people’s standard of living and quality of life. He said he didn’t regard this as a “game”. He thanked the former leader Joan Burton for her work during the last term in government. Labour sources say the leadership was not something he had in mind, stating it has come sideways at him. However, he has plenty of supporters in the party – with some members calling him the logical choice. Jan O’Sullivan said she is “absolutely certain” Howlin is the right leader of the Labour party right now. Former Labour TD, Pat Rabbitte said he is a very talented and immensely experienced politician who “has Labour DNA in his blood”. Howlin said now there will be a “new movement” for Labour and he will be going around the country to talk to members. He made assurances that he will be the leader to take the party into the next general election. Howlin gave an open invitation to those who have left the party and said he would be reaching out to former members – such as Tommy Broughan and Roisin Shortall – to return to the party. The former teacher was first elected a TD in 1987. He’s been a minister for health, minister for the environment and most recently the minister for public expenditure and reform. Email “Brendan Howlin is the new leader of the Labour Party”. Feedback on “Brendan Howlin is the new leader of the Labour Party”.